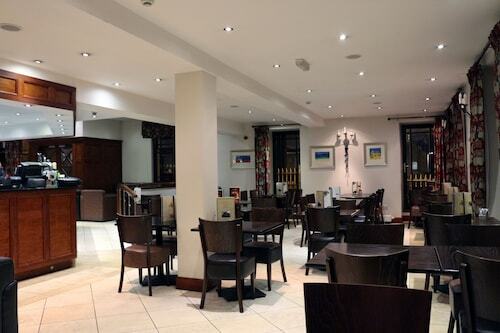 Located in the heart of Stornoway, this hotel is within a 5-minute walk of Museum Nan Eilean and An Lanntair. Stornoway Lewis Ferry Terminal and Lews Castle are also within 1 mile (2 km). 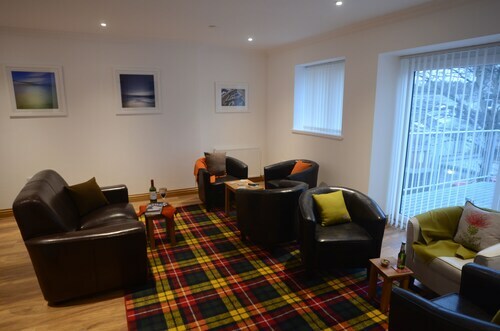 Situated in Stornoway, this guesthouse is within a 5-minute walk of An Lanntair and Museum Nan Eilean. Stornoway Lewis Ferry Terminal and Lews Castle are also within 1 mi (2 km). Situated near the airport, this guesthouse is within a 15-minute walk of An Lanntair, Museum Nan Eilean and Lews Castle. Stornoway Lewis Ferry Terminal is 0.8 mi (1.4 km) away. 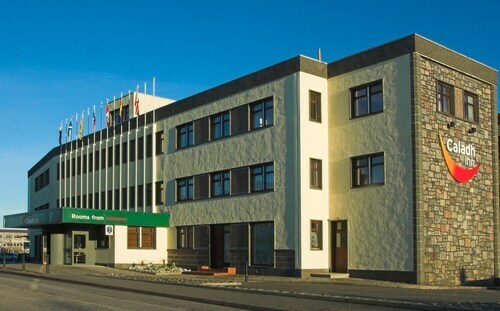 Situated near the airport, this hotel is within 1 mile (2 km) of An Lanntair, Lews Castle and Museum Nan Eilean. Stornoway Lewis Ferry Terminal is 1.2 mi (2 km) away. So, you're thinking about travelling to Stornoway? If you want to find accommodation that's located close to the sights, you can enter your holiday dates and then use the filters next to your hotel search results to find a hotel near the area's attractions. You can choose among 7 Stornoway hotels and accommodation options to find a place you'd like to stay. 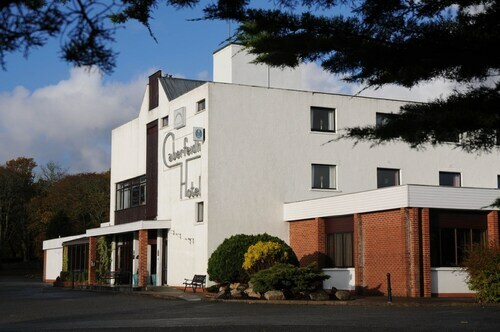 When you're deciding where you want to stay in Stornoway, you'll be able to quickly and easily search ebookers for hotels that offer services such as high-speed Internet, free airport transport or a swimming pool. You can use the filters to narrow down your hotel search, so you can get the services that are important to you, such as air conditioning or an in-room kitchen. When making plans for your holiday in Stornoway, you can also use ebookers to search for a convenient flight into Stornoway (SYY) Airport. You can narrow down your search by number of stops, airline or time of departure to identify one that works best for you. When is the Best Time to Explore Stornoway? If you're wondering when is the best time of year to explore Stornoway, you may find this information about seasonal weather helpful when planning your trip. The warmest months in Stornoway are typically August and July, whereas the coldest months are usually March and February. The months with the most rain are October and April, whereas July and June have the least. From January to March, the average daytime temperature is 7°C and at night it is 3°C. Seasonal average rainfall is 9 mm. If you visit between April and June, you can expect an average temp of 13°C during the day and 3°C at night. Average rainfall during this season is 6 mm. The daytime average temp from July to September is 14°C and the nighttime average is 8°C. Average precipitation for this season is 6 mm. Between October and December, the average temp during the day is 11°C and 4°C at night. Seasonal average rain is 10 mm. The annual rainfall average in Stornoway is 31 mm. Stayed overnight as was working on island for a day. Very basic hotel. Paper hanging from ceilings on stairway was hanging off. Red carpet on stairs was filthy. The food was ok, but was disappointed that no Indian food was available on the night I stayed. Breakfast was good, cooked by staff before opening time as I was leaving early. They were accommodating and nice folks. 5 minute walk to town centre. There was some refurbishment taking place. The food was excellent. The hotel is beter than its star rating, I feel. Although the furnishings are a little tired, the rooms are comfortable, and the restaurant is good. Very good value. My go to hotle in Stornoway. Même si la façade n'est pas très attrayante, cette petite pension est impeccable à tous les points de vue, propreté, confort, accueil, les chambres sont petites mais bien conçues, les salles de bains très bien.